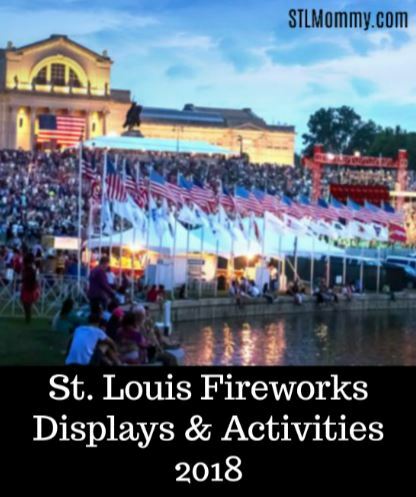 Fair Saint Louis is a FREE admission event produced each year by St. Louisans for St. Louisans and their guests celebrating our nation’s independence each Fourth of July. The Fair typically hosts hundreds of thousands of attendees listening to fantastic music, playing in the Festival Zone, checking out new products in the Interactive Zone and of course, being “wowed” by our nationally recognized fireworks displays each evening – all for FREE. Other rides and activities have a nominal fee including the zip line, human slingshot and the Pay to Play Zone for kids of all ages. You can also check our The Fairway – an area for local artists and merchandise vendors selling their wares. 2018 Fair Saint Louis Schedule of Events Schedule and times are subject to change. All performances will take place on the Enterprise Rent-A-Car Stage. 4 – 10 p.m. Carnival, midway and vendors, open. No fireworks or other live entertainment. Join us in our annual celebration of Independence Day. Festivities are from 6:00 PM until 10:30 PM in Bluebird Park. There is no parking (except accessible) available in the park. We will have shuttle bus service to and from the park at the following locations. No glass bottles or pets are allowed in the park during the celebration. 9:30 PM – BEST FIREWORKS SHOW IN THE METRO AREA! The annual Kirkwood Fireworks Festival will be held on Wednesday, July 4, in Kirkwood Park. (Bad weather reschedule date is July 5.) Music by Fanfare kicks off the evening at 7:00 p.m. Fireworks go off at dusk. Traffic Note: Please note that West Adams will be closed to vehicular traffic from approximately 7:00 to 10:30 p.m., due to heavy pedestrian traffic. The community of Columbia bands together to form the July Fourth Committee and puts on this Independence Day celebration that features food, beer, and other refreshments, bingo, a washer tournament, a Kloepper tournament, and other entertainment. Fireworks begin at dusk. The City of Arnold will hold its annual Independence Day Celebration on June 30, 2018 from 4:00 – 11:00 pm. Performers from Circus Kaput will be at the event this year to entertain all ages. Musical entertainment will be provided by the Joe Dirt Band between 7:00 – 11:00 pm. Food and beverage vendors will be available on site. A fireworks display will begin at approximately 9:30 pm. Enjoy music by ““The South Side Johnny Band” under the stars in the Veterans Memorial Amphitheater and a brilliant fireworks display to usher in another fun, filled celebration in honor of our country’s birth. This year, the Blast will feature a concert from 7 to 9 p.m., with fireworks to follow. Admission and parking are free and there will be plenty of food available for purchase, including a variety of food trucks. Blankets, picnic baskets and coolers are welcome. Come on out and join us to celebrate America’s 242st Birthday! The City of Eureka is proud to be sponsoring an old fashioned July 4th Celebration dedicated to military veterans throughout our community complete with one memorable fireworks display! Concessions will be available for a nominal cost. Plan on joining us for this fun and convenient way to celebrate America’s birthday in your hometown! On-site parking will not be available for this event. Please call 636-938-6775 for handicap parking information. Come join us for the 4th of July Fireworks Celebration that has grown to be the biggest and best fireworks show in the metropolitan area, presented by the City of Chesterfield. The Main Stage will feature live music from Fat Pocket, St. Louis’ highest energy party band featuring razor sharp rhythms, hot horns and powerhouse vocals, from 7:30 p.m. until 9:30 p.m. This “A-List” award winning band will move your guests to the dance floor for a non-stop dance party. The Commerce Bank Kid’s Zone will have Circus Kaput, a two-hour circus show featuring unicycling, juggling, magic, aerial acts, stiltwalker, teeterboard, fire breathing, acrobatics, audience participation and much more. The Kid’s Zone will also have 15 carnival games including putt-putt challenges, a frog hop and ring toss, plus two bubble machines! Inflatable bounce houses, slides and an obstacle course will keep the kids entertained before the fireworks show. Kid’s Zone will be open from 6:30 p.m. to 9 p.m. The main viewing area will be at the Chesterfield Mall. The fireworks show will begin promptly at 9:30 p.m. The celebration will also feature food trucks and a variety of children’s activities all night long. Lawn chairs, blankets, outside food, beverages and coolers are allowed (NO GLASS, please). No tobacco products. Join us for the 30th Annual Firecracker Extravaganza on June 22 and 23. Both days will have carnival rides, food and craft vendors. You won’t want to miss the one night only Hillbilly Authority Reunion on the stage at 6pm Friday night! Saturday at 8am is the Youth Fishing Derby and Car and Truck Show. The Senior Fishing Derby and Washer Tournament beging at 10am. Little Mr. and Miss Firecracker competition takes place at 4pm. Great food and drink will be available all day and night! Get ready for some awesome entertainment Saturday night! John McEuen and the String Wizards take the stage at 6pm and will be followed by Scotty Bratcher. Don’t miss the St. Louis Staycation Guide for more activities this summer and the Things to Do page for more events!